I.T. 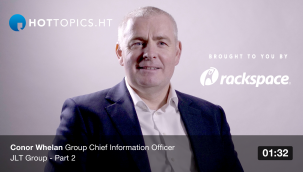 network roundtable: how can a CIO stretch an I.T. budget effectively? Network Effects explores the evolution of the network, its importance in digital transformation programs and therefore the obligation of businesses and vendors to secure it. 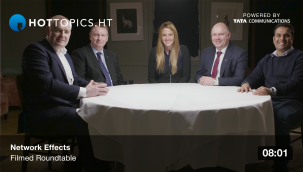 Bianca Lopes, HotTopics.ht Contributing Editor, leads this series’ roundtable with participants: Prashaant Huria, Vice President, IT, Science & Enabling Units, AstraZeneca; Marc Mosthav, CIO Northern Europe, ATOS; Adrian Brookes, Director, Enterprise Architecture Team, Tata Communications; and Conor Whelan, Group CIO, JLT Group. This roundtable is part of the ‘Network Effects’ series, brought to you by Tata Communications. The network is sometimes the forgotten - but critical - component behind any digital product or service. How are CIOs keeping on top of its evolution? As businesses seek innovation in smaller, more manageable steps, emerging and cloud technologies are now getting the attention they deserve.